olive uses the latest Smart Meter and internet technology to understand your home’s heating oil use and deliver your smart heating oil solution. *olive is designed to be easily self-installable but can be handed to a qualified heating engineer for installation if you require. Your olive Hub easily links to most consumer broadband modems and connects with your olive Sensor to monitor your oil tank levels. Once set-up your olive then sends us your oil usage information over the internet to our secure servers in the cloud for you to login and view your oil usage through your pc, tablet or mobile device. olive lets you monitor your oil use from day one – helping ensure you never run out, save money and providing you with the information to truly understand your home’s oil usage and energy efficiency. olive is simple to set up and will allow you to monitor your oil use from day one – ensuring you never run out, saving you money and providing you with the information to understand your home’s oil usage and energy efficiency. Your olive solution is available online for 120.00 RRP AND for a limited time this includes £20 off your first oil orders! Your pack includes your olive sensor, hub and all you require to connect and get online. 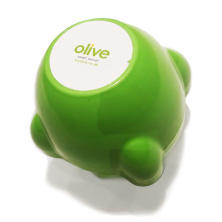 Once registered, you can then use your olive to monitor and understand your oil use for free. In order to keep our costs down olive is available to buy online only. Simply register, order and pay online today for your olive to be sent direct to you.